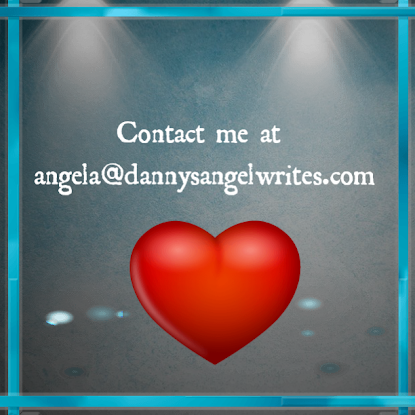 In honor of my wedding anniversary, July 5th, I wrote an article for Danny's Angel Writes that published on Monday entitled, He Heals the Broken Heart. It's been a long journey. My husband passed away in August 2004, a little more than a month after our 15th wedding anniversary. As I've stated before, it was a totally unexpected occurrence. At the age of 42 he was stricken with a massive hemorrhagic stroke. He had a precursor to the fatal episode approximately two months before that, but because he recovered from it with seemingly no severe after effects in a relatively fast period of time I assumed that all was well and done, that God would get the glory, and we went ahead with our life. Mindful of the fact that we needed to make a few lifestyle changes (diet, exercise, stress) to ensure his continued health, we plodded forward in our daily routine plus changes as he in typical man fashion playfully grumbled about the sacrifices that he was now called upon to make. Little did I realize the night that he left the house to pick up a meal and video for us while I was working away in our home office that he wouldn't be coming back. The final stroke took hold of him while he was driving home. In his typical fashion of always putting my welfare first, his primary concern was that I would be worried, and he was able to communicate, just barely, to the police officer who found him by the side of the road dazed, disoriented, confused, and revving the car's engine trying to get it out of a ditch, that he wanted him to phone me so that I wouldn't worry about what happened to him. I was able to get to the hospital with only a couple of minutes to spare before he slipped into a medically-induced coma from which he never awoke. No doubt your story is just as tragic, whether you lost your husband suddenly and unexpectedly as I did mine or that you lost him through a lingering illness which enabled you to give some preparation to your loss. No matter the circumstances, at the moment of truth when all was said and done, I'm sure that the grief pierced you like a multi-barbed arrow through your soul, spirit, and heart, and that you were never again the same after that moment. What I want to do right now is to encourage you. If you are newly widowed you probably can't see ahead to tomorrow. The thought of going forward with your life without your loved one is simply unthinkable. If you've been walking in your widowhood for a while you still may not be able to see past the dark clouds, but you hope that a brighter day may one day re-emerge. I can testify to you from my own experience that God has indeed been faithful. Although my heart will forever be scarred, He's carried me through this journey, and one day at a time I've been able to get past the darkness and walk into an ever brighter shining light. This is the time to get to know Him on a more intimate level, to make Him an even more sure friend. Read the Word, pray, meditate, trust in Him, and cast your cares upon Him. No matter how long it takes, let Him have the pieces of your broken heart so that He can mend them and make you whole again. Keep your focus on Him. It's a blessing to have encouragement and support from friends and family, but ultimately the true source of your encouragement, support, and hope will be found in God if you let Him. Go to Him today and lay your hurt at His feet. He's waiting for you.